Although the title of this article is "Choosing a Surgeon", the key to successful bariatric surgery is choosing the right "team". The patient's journey doesn't start in the operating theatre; it starts in the careful pre-operative assessment phase- by surgeon, anaesthetist, dietician and specialist nurse. In some cases other professionals such as psychologists, gastroenterologists and endocrinologists complement this assessment. The Bariatric Multi-Disciplinary Team (MDT for short) provides your care from the day of assessment onwards. The surgeon is central to the team in providing the actual bariatric procedure, and understandably patients will focus on this, but as a surgeon myself I know that the MDT is the key to long term weight-loss and quality of life. The route to bariatric surgery generally takes two forms- a self-funded pathway (private surgery, either carried out in the UK or abroad) or through the NHS. I have mapped out the various stages involved in these pathways, and will briefly go through each step. Bariatric units must adhere to the highest possible standards- they should only offer surgery to patients who meet national criteria. In the United Kingdom this means patients must satisfy the NICE criteria. A recent Radio 4 report identified private surgeons who were prepared to offer bariatric surgery to patients whose BMI was lower than the NICE criteria. Fortunately, this is an uncommon finding in the bariatric field, but patients need to be aware that sharp practice can take place. The General Medical Council maintains a specialist register with the names of all consultant surgeons in the United Kingdom. Your surgeon should be on that register. He or she will hold a CCT/CCST (Certificate of Completion of Training/Certificate of Completion of Specialist Training). At present there is no difference between these two certificates. Your surgeon will need to hold a Fellowship of one of the royal college of surgeons (FRCS). More recently surgeons have to obtain the FRCS (General Surgery), this is a specialist exam taken by surgeons before they are awarded their CCT. Surgeons who perform bariatric surgery are most likely to have been trained in upper gastrointestinal (stomach, gullet, liver and pancreas) surgery. There are a number of professional organisations to which your surgeon can belong, such as the Association of Upper Gastrointestinal Surgeons (AUGIS) or the British Obesity & Metabolic Surgery Society (BOMSS). Membership of these societies can mean they are up to date with the latest techniques, although this cannot be guaranteed. Bariatric surgery is new to the UK. There is only a small number of experienced surgeons- therefore as the demand for surgery grows; new surgeons will need to be trained. A surgeon who has been trained by an experienced surgeon is likely to have been taught how to the procedure safely and efficiently. Beware the occasional surgeon who has not been trained! It is tempting to assume that doing lots of operations means the same as doing lots of operations well. The number of cases is an indicator of quantity, but may not reflect quality. That said, quality surgeons tend to attract a large quantity of work. For more inexperienced surgeons, ask about the training and mentoring they have had, or whether a more senior colleague is on hand for advice etc. Bariatric surgery is generally safe. The safest procedure is the gastric band (mortality rate 1 in 2000 cases). The gastric bypass and duodenal switch have a mortality rate of around 1 in 200 cases. The commonest causes of death are a clot on the lungs (pulmonary embolism or PE) arising from a clot in the veins of the legs (deep vein thrombosis or DVT), or leaks from any join-ups made in the operation. Ask your surgeon what steps they use to prevent this from happening. An effective way is injections of heparin that take place before surgery and for a period after surgery (around 1-3 weeks). This includes wound infections and chest infections. Most minor complications would fall into this category. The answers to these questions should give you an idea of whether this surgeon is for you. Your surgeon should not be working alone. They should be part of a dynamic multi-disciplinary team (MDT). The team should have a specialist anaesthetist, dietician and nurse. The team should be able to call upon other specialists, as needed e.g. psychologists. It is an unfortunate fact that many in the medical and nursing profession have a negative attitude towards the obese patient. They see obesity as an expression of gluttony and self-neglect, not as a serious medical condition. Patients who undergo bariatric surgery are at a very vulnerable stage and a careless comment or remark can be very hurtful. Having surgery performed in a specialist unit where the medical and nursing staff are sympathetic and understanding to the needs of the obese patient is so important. In addition, a specialist unit will have all the equipment that bariatric patients need - simple things such as larger beds and chairs, individual rooms with walk-in showers (not baths) but also hoists and moving equipment. In many ways performing bariatric surgery is the easy part of the bariatric journey! The difficult bit comes after surgery. Bariatric patients need to be followed up for life. This is because problems can arise at any time and follow-up allows them to be picked up early - before they become problematic. For example, the gastric band patient who notices increased heartburn may be at risk of a band slippage. All patients should be seen around 6 to 8 weeks following surgery. Patients with a gastric band need to be seen monthly until the band is set correctly. It can take up to a year or more for a band to be set right and the patient using it correctly. Once a band has been set and working, patients tend to be seen 3-4 monthly for a year and then yearly afterwards. Gastric bypass and duodenal switch patients tend to be seen at 3-6 month intervals for the first one or two years and then yearly. Blood tests are performed at 6 months to one-year intervals following surgery. Named Surgeon or "Package Deal"? One of the great benefits of paying for the operation yourself is the ability to choose who does your operation and where it is done. Remember, that follow-up is essential and this why many patients decide to go local - to a surgeon or unit close to home. Many patients have gained a lot of information regarding surgery from sites like wlsinfo and may decide to have a specific surgeon perform their operation, even though it means travelling further for follow-up. Other patients may find that the cost of the surgery is a significant factor and choose a "package deal" offered by companies that advertise on the television or Internet. The choice between a named surgeon and a package deal is a personal one, and one that will take into account factors such as cost, surgical reputation and distance for follow-up. Are complications covered in the price? How many times will I be seen in the first 1-2 years? Will I be charged for my follow-up appointments? Will I be charged for band fills or blood tests? Will I be charged for emergency advice? Only you can make that final decision regarding who does your operation, but please remember to ask all the questions that this article contains. Any reputable bariatric unit will have this available to you before you have surgery. In recent times we have seen an increase in "health tourism". It is possible for patients to travel abroad to have surgery. This is an attractive option for many, particularly as the initial costs can appear to be cheaper. There are a lot of experienced bariatric surgeons in Europe, some of who have pioneered this kind of surgery and whom I would have operate on myself. But I would only do so if I were resident in the country where that surgeon worked and could get there quickly if problems developed. The reason for this is safety. Safety doesn't just mean a safe operation; it means safe follow-up and access to help in emergencies. The ability to afford to commute on a regular basis to the country where you had your operation is not widespread I'm afraid. Many patients see surgery as a one-stop cure; they have their operation and believe everything will be all right. It is a sad fact that many commercial groups promote this false impression and ultimately patients pay the price. Let me be clear on this - if you are not followed-up then problems can and will occur. There is also the growing problem in NHS resources being used to correct problems arising from surgery abroad. Finally, the healthcare systems abroad are not the same as we have in the United Kingdom. 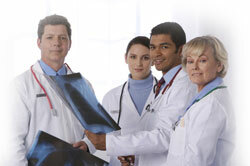 There are different credentialing schemes for surgeons and hospitals. If problems occur, could you navigate your way through the complaints system of a foreign hospital in a foreign language - would you even know who to complain to? At least with an NHS hospital there are hundreds of willing solicitors who specialise in medical negligence that would be delighted to help you! So, I would not recommend surgery abroad but if you are considering it please ask your surgeon the questions in this article. It is a common misconception that bariatric surgery is not available on the NHS. The NICE guidelines make a clear case for bariatric surgery and therefore NHS trusts are expected to provide it. However, the NHS is a finite resource and money does not grow on trees - this means that NHS trusts are quite stringent in who they provide bariatric surgery to. The NHS considers bariatric surgery a special case. This means that unlike cancer surgery or treatment for chest infections, bariatric surgery is funded differently. The people who hold the purse strings are the "primary care trust" or PCT. Each area has its own PCT (this applies to England, but similar structures are found elsewhere in the UK, for example the health boards in Northern Ireland). The PCT has to approve funding before surgery can take place on the NHS. Funding is considered on a case-by-case basis, and not all cases are funded- even if the NICE criteria are fulfilled. It can be a long process to get funding approval, often involving a lot of upset and disappointment. The journey towards bariatric surgery on the NHS starts with your General Practitioner. If you fulfil the NICE criteria your GP can apply directly to the PCT for funding. The PCT will consider your case and give a decision. If they agree, then they will refer you on to a bariatric unit for assessment for surgery. I'm afraid that you don't have much choice in where you go for surgery; the PCT contracts out the bariatric surgery to designated providers, and on the whole you have to go where the PCT tells you. At present, this can mean a non-local service (for example in Northern Ireland, the surgical providers are based in mainland Britain). However, some PCTs have contracted out work to a number of surgical providers allowing some patient choice to be exercised. I suspect patients given a choice of providers will vote with their feet and choose to go to units that have the best reputation. It sounds so easy on paper doesn't it? All I need to do is satisfy the NICE criteria (tick), talk to my GP (tick) and they apply to the PCT. And here is the first stumbling block- the NICE criteria are very strict regarding the fact that patients must have tried anti-obesity drugs and specialist weight management clinics. Many GPs are unaware of obesity issues and do not see it as a serious disease; they may have reservations about anti-obesity drugs or the use of specialist clinics. In the worst cases I am aware that some GPs have refused to get involved in the management of obesity because they think the surgery is purely cosmetic- despite the enormous amount of scientific evidence to the contrary. If you find yourself in this situation I would suggest pointing them towards this website, and as a last resort consider changing your GP. The next stumbling block is at the PCT. Their criteria for offering bariatric surgery can be stricter than the NICE criteria. Remember, they have only a limited amount of resources and the budget for bariatric surgery must also cover other special cases. The number of patients with morbid obesity is enormous- it is just not possible for any PCT to provide surgery for everyone. Most of the patients that are funded by the PCT are heavier than the NICE criteria, usually with a BMI of 45 or greater, because these are the patients at greatest risk from their weight. Do not despair if the PCT turns down your funding- each case is assessed on its own merits, which means there is scope to work with your GP to present the best evidence that you would benefit from surgery. The road to NHS surgery is long, but so worthwhile in the end- do not give up!